The pessimist complains about the wind, the optimist expects it to change; the realist adjusts the sails. Climate Change has NEVER been the Jayvee Team, it has literally, not scientifically, morphed from Global Cooling to Global Warming and was one, blustery, factually void, Inconvenient Truth. Yet profitable! The Sacred Cow of the Left for power, control, and money. Powerful, unilateral control of individual choices, industries and companies resulting in massive transfers of wealth amongst the climate-change saboteurs. Bernie Madoff couldn’t hold a candle to the hockey-stick designing, fraudulent architects of the climate-change ponzi scheme. Yet these architects refuse to talk and share their expertise and “factual” findings with Congress. They are too busy saving the world from the number one threat to our safety, Climate Change, to be bothered with congressional subpoenas. In summary, Climate Change deniers are derelict in their duty to protect the United States. But not many people, that I can find, have horrifically and unexpectedly died at the hands of Climate Change in the last 16 days. I can, however find three large scale terrorist attacks by Islamic Jihadists, aka ISIS, in just two short weeks: In Beirut, 43 people slaughtered; the bombing of Russian Metrojet Airbus A321, killing all 224 people aboard; and Paris, in a well-coordinated, large-scale, multi-unit suicide operation killing 129 and injuring 300 people, forcing France to close it’s borders for the first time since WWII, when the Nazi’s were on the rise. How ironic? Je Souis Desole, Paris. These terrorist attacks are not a declaration of peace. Yet, just a few days ago, our Commander in Chief responds by releasing 5 gitmo terrorists— 5 more chips deposited into the Bank of Jihad. 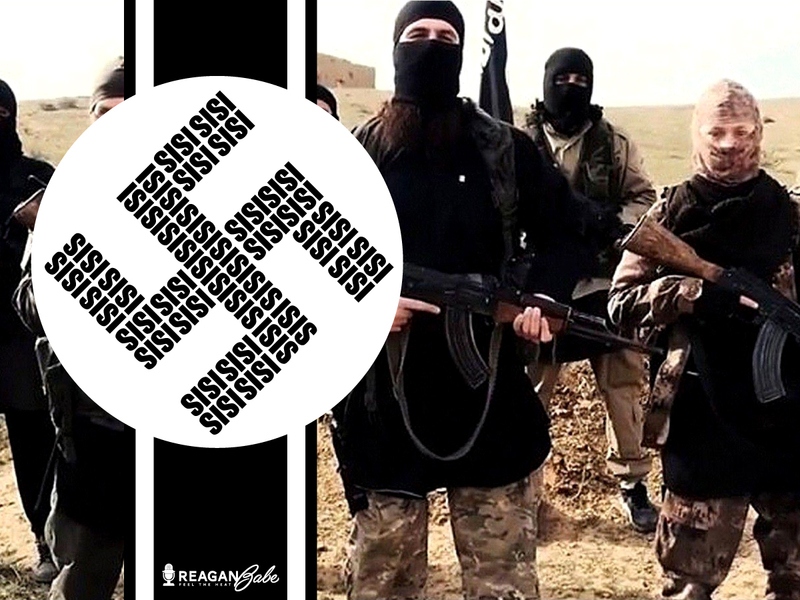 ISIS is not only responsible for “random acts of terror” during our “oversees contingency operations.” While not blowing up city streets and airliners, ISIS is busy committing genocide. 30 Christians were beheaded on a beach in Libya in a video released this past April. In the caliphate, men, women and children either convert, flee or die. Just this past August, in Syria, 8 christians were tortured, raped and beheaded and 4 christians were crucified, including a 12 year old boy who had his fingertips chopped off before he was nailed to a cross. France is now at war with ISIS and Russia has joined them. Yet, today, John Kerry takes the world stage, and makes excuses for these savages. Where would we be if we made excuses for the Nazis? 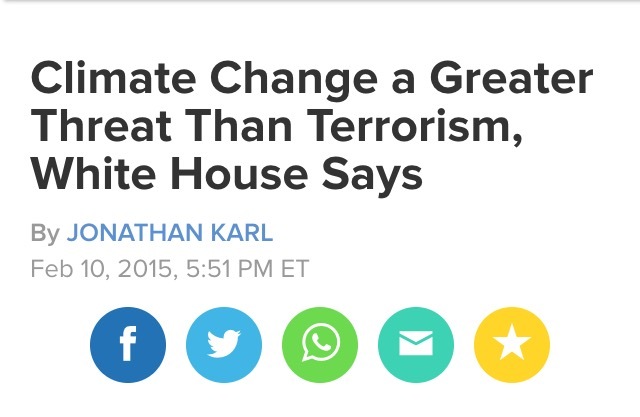 Climate Change wasn’t on the stage in the era of the Third Reich, but evil knows no temperature or time. If Climate Change created the civil war in Syria and the rise of Boku Haram in Nigeria, then the Captains of Climate Change own the evil that has sprung from it. What I do not do is to take actions either because it is going to work politically or it is going to somehow, in the abstract, make America look tough, or make me look tough. A narcissistic strategy to combat genocidal maniacs who crucify children. A narcissist is derelict in his duty; a realist would adjust his sails.